Ha! Wrong! It doesn’t mean anything. It’s a bit of crackpot marketing nonsense dreamed up by a long forgotten PR firm. Except, then HiFiMan comes along and creates a pair of headphones that are genuinely semi-open-back. These settle the debate once and for all. You might even call them Schrodinger’s Headphones: they’re both closed and open back until you decide which one you want. They are also, just in case you were wondering, bloody brilliant. Here’s a very brief primer on how this all works. Closed-back headphones seal the ear off entirely, with an impermeable housing surrounding it. Open-back headphones allow air to reach the audio, usually through a grille on the outside of the earcups. Closed-backs suffer a little in their sound quality, but they provide good isolation, meaning no-one around you will be able to tell what you’re listening to. Open-backs have vastly-improved sound quality, but suffer from bleed, meaning that all your friends will know just how much you like Cyndi Lauper. When you pull them out of the packaging, the Edition S looks like a standard pair of closed-backs, until - what’s this? - you slip a fingernail under the outer housing, and pry it off, to reveal a grille underneath it with the driver clearly visible. Sorcery! Witchcraft! And also, by the by, one of the most ingeniously simple ideas we’ve ever seen. We’ll get to the sound quality in a moment. Outside of the removable caps, which clip into place using a simple flat magnet, what you have here is a very good-looking pair of headphones. Although the top part of the headband is plastic, the underside is decked out in soft foam, as are the cups. We had no problem wearing these for long periods, and they fit effortlessly over our rather oversized ears. The almost diamond-like shape of the cups looks terrific, and the outside housing and hinges are shiny metal, with a slightly gaudy HiFiMan logo on the outside. The cups fold upwards for easy portability, and the entire package is incredibly light at just under 9oz. Even without the removal, these would be a very promising pair of cans. You get a single cable, along with an airplane plug and a 6.3mm attachment for larger amps. We also really like the carry case, which is semirigid, and comes with a nifty carabiner. 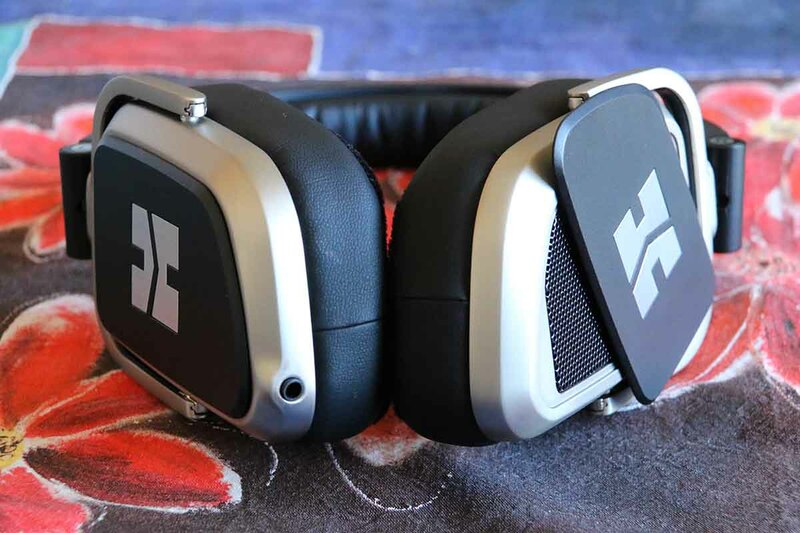 HiFiMan are known for their magnetic planar headphones. Very briefly, these use magnets to spread a charge across a very thin driver, resulting in infinitely better audio quality, as seen in the company’s superlative HE1000. The Edition S is their first attempt at a dynamic drive headphone. You’ve definitely used this type before; in almost all inexpensive plans, this is what you get. Dynamic drivers use magnets to rapidly move a coil back and forth, creating vibrations in the air and therefore, if you remember your science, sound. They’re cheaper and more robust, and don’t require such large magnets to run, which is why most manufacturers use them. If anybody was going to make a really, really good care of dynamic driver cans, it was HiFiMan. Boy, did they deliver. With the caps on, the sound is excellent. It’s full-bodied without being dominating, and neutral without being bland. The immediate characteristic but we got was that we were listening to a very accomplished, powerful set of electronics – hardly surprising, given that the drivers are a very healthy 50mm in size. Bass had proper weight and texture, and the highs had a superb level of detail. Things kicked up a notch the moment we got naked. As soon as we removed the caps, the whole sound opened up. It was just as solid as before, only better, somehow: more spaced-out, with more air, and a sharply-defined balance between the frequencies. The sound never felt harsh, never brittle or overpowering. It was just a magnificent, controlled, clear performance, in all genres, all the time. It wasn’t a big decision for us to leave the caps at home, and just enjoy the sound we got from our new open-backs. You could conceivably make an argument that there is therefore no point to making these semi-open at all; that if we were just going to listen this way, then an extra bit of removable plastic (that me might misplace) is just a hassle. But the headphones do bleed a little with the caps off, and your co-workers might not appreciate it. Being able to switch to closed-back at a moments notice, with only the slightest change in sound quality, was a joy. Unfortunately, these headphones do have one glaring weak spot: the in-line remote control. It is, quite simply, one of the worst we’ve ever used. This is no hyperbole. It’s cheap and plastic and terrible and we hate it. It’s not that it doesn’t work, it’s just that it was a pain to use. The volume and play/pause buttons are almost flush with each other, with only a tiny trench in the plastic to separate them. Hitting pause when we meant to lower the volume was a frustratingly common occurrence, and the slippy plastic made it hard to grip. It’s an annoying little issue. The headphones are very affordable, at $249, so it’s insane that the company didn’t put a little more time into making a decent in-line. What would a bit more R&D have whacked on the price? $20? $30? It would have been worth it. It’s a shame that the headphones get so close to perfection, only to trip up on such a small thing. But in all honesty, it’s a tiny blemish on an otherwise flawless picture. The Edition S is terrific, a genuine gem, infinitely classy, and proof that the simplest idea can have far-reaching implications. We love it, and if you can get past the remote issue, we think you will too. Closed-back, and is a pricey wireless version available which is just fantastic, but these are still some of the best headphones you can buy. Well, why not? If you want to see why the company has become so lauded so quickly, then you need to pick up the pair of open-backs that has won rave reviews and fans all over the planet. They’re bulky, but they offer unbelievable value for money.